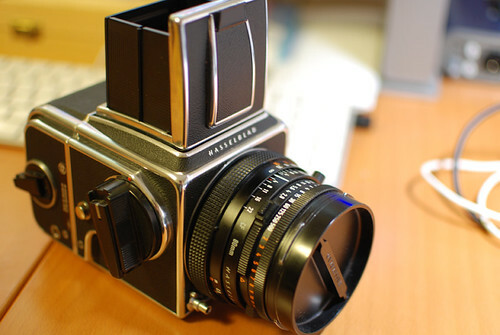 For some reason, I’ve wanted to have a Hasselblad for quite some time. Made by Victor Hasselblad in Sweden, the 500C was introduced in 1957 and redesigned in 1970 as the 500C/M. It’s a medium format SLR and the camera of choice for many professional studio photographers. It is also a modular camera – not only you can remove the lens but also the back, where the film goes as well as a few other parts. It’s a beautiful machine, know for its quality and reliability and I’m today the proud owner of my own Hasselblad 500C/M with an 80mm f2.8 Planar lens. Alan went out to buy some film and came home with this nice surprise. Local and long dista… on Slow life for slow food? building bridges Create a free website or blog at WordPress.com.